Last year my fiancé (soon to be husband come Halloween) and I decided that I should make the leap to writing full time. Well mostly full time, I also paint and have jewelry that I make sold in a couple of stores around town, but mostly I am concentrating on my writing career. It’s wonderful and scary at the same time. Now that I don’t have a day job to get to everyday, well I have to have the self-discipline to make my schedule all about writing, blogging, marketing and creating. Not as easy as it sounds. Working at home offers either one of two problems. One, there are too many distractions. The laundry should be done. I should run to the store. Oh look, the Vampire Diaries is on Netflix. The other problem that I sometimes have is that I think and feel that I should be working and writing 24/7. I can be really hard on myself if I take a day off. I am supposed to writing, so shouldn’t that mean writing all the time. That is why a schedule is so important. I try to writing and market about 6-8 hours a day now. I am learning to leave time to read, to exercise, to plan my wedding. I do work most days, but occasionally I will take a day off to watch tv or read and I try not to feel guilty about it. At night I stop working so that my fiancé, who works a lot as well, and I can spend time together. I am trying to make more time for friends and have a balance life. And of course I am still writing. 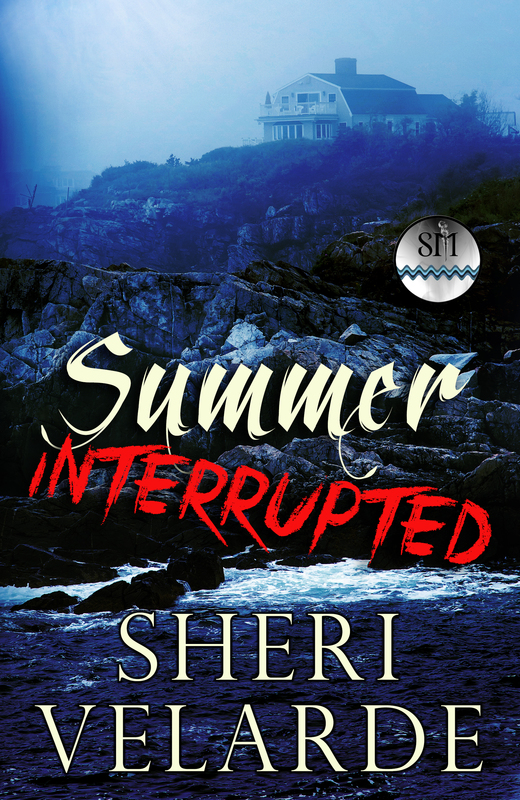 I am thrilled with my newest release, Summer Interrupted is my take on pulp fiction of the past, something new and different for me and I could not be prouder. It embraces the fun with the serious, something that I am trying to incorporate into my own life! 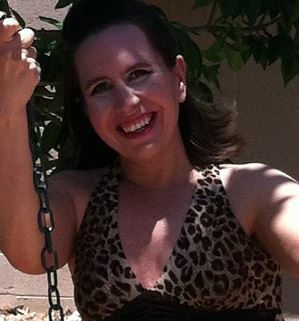 Sheri Velarde, lives in New Mexico with her fiancé and their two dogs. She is constantly putting out new material with various publishers, so it is best to keep up with her on her website http://www.sherivelarde.weebly.com. Joy and Dot plan on having a summer to remember. A cabin on the beach, hot men from Harvard down the way, one last hurrah before true adulthood set in. Everything is perfect. They did not plan on their summer being interrupted by Joy’s sudden collapse in a strange room in their house, nor the mystery that surrounded it. As they look into their rental, horrifying details from the house’s past, mixed in with pirate lore of old, come to light. As more details emerge, they realize that more than their fun is at stake, that souls may hang in the balance. How can two sisters battle an evil that has haunted coastal Maine for hundreds of years? Taking a deep breath, just like the first time, she entered the room and realized immediately something was wrong. Joy closed her eyes and stepped in. At first, the room seemed perfectly normal. No blood, no ghosts, nothing scary, just a light on by the nightstand in the middle of the two twin beds. The room was actually quite cute. She could imagine her and Dot being in here when they were younger. Then she remembered the two sisters who had shared this room and what happened to them. That’s when the scene before her began to change. The room dimmed and shifted subtly. A strong sulfur smell permeated the room. She didn’t know how, but Joy felt certain that she was seeing the past somehow, witnessing a memory. “But that’s not possible. This isn’t possible. I’m dreaming. This is just some sort of terrible dream,” Joy said to herself, determined to snap herself out of this nightmare. She pinched herself, slapped herself, and screamed hoping to wake up. Nothing worked. She tried a different approach. Maybe if she left the room in her dream, she would wake up. Turning to leave, she found herself face to face with two girls, sisters by the looks of them, the two who had been murdered here, she knew it. Joy froze, staring at the girls who didn’t seemed to notice her at all. They were arguing with each other, but Joy found it difficult to make out the words. They sounded as if they were talking through a very static filled radio. The older of the girls grabbed something from the younger sister, and that’s when she saw him. No rational thoughts formed. Joy screamed, unheard by those in her vision, though she was sure he stared right at her. That was the last thing she remembered, piercing red eyes that chilled her soul.